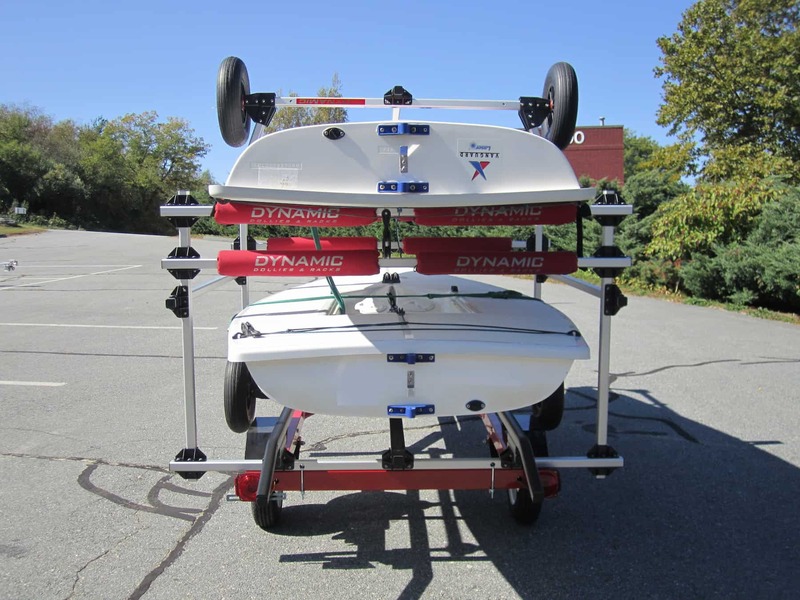 Dynamic’s “Dolly-Trailer Combo” is designed so one person can travel and load/unload their boat without assistance. 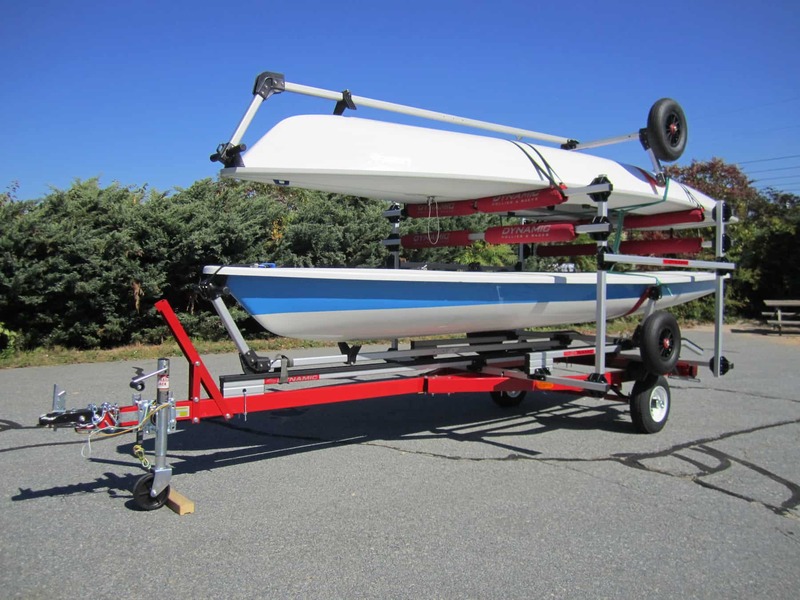 This system has several options shown in the pictures, including a “spar deck” to store spars while traveling and a “rack above” for a second boat. 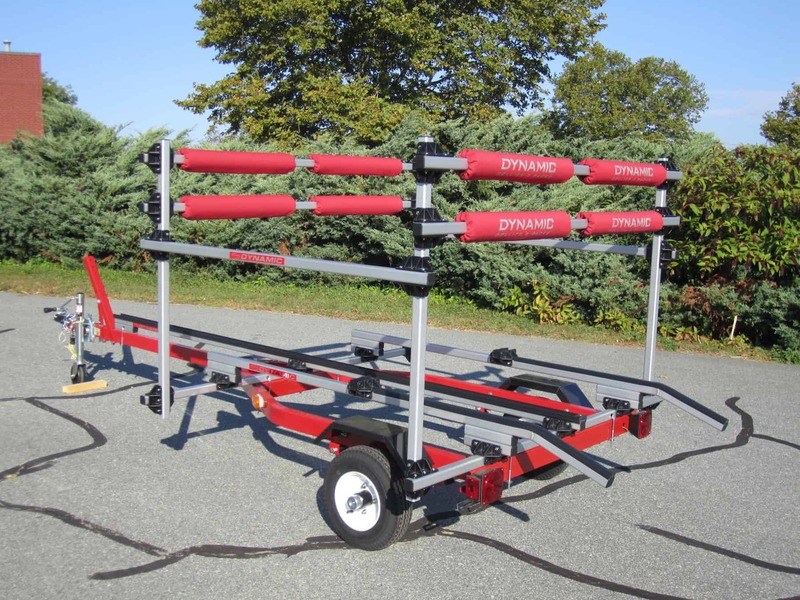 Add Dynamic’s rolling rack pads and tie down straps and you’ll have the complete setup! This unit has the ability to be tailored to a trailer you already own, we can recommend a trailer for you, or we can build the hole unit and have it ready for pickup.